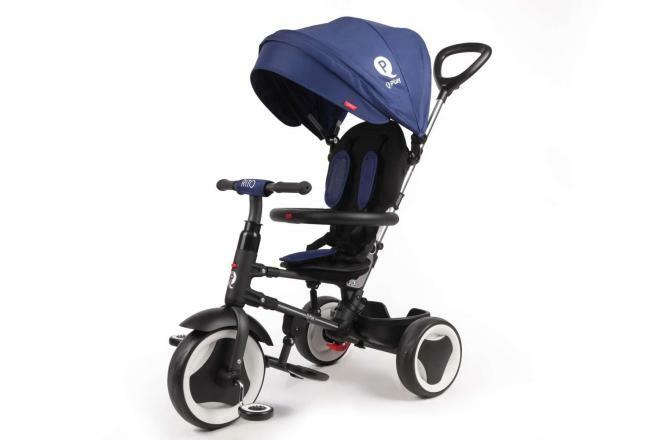 The QPlay Rito Tricycle Deluxe is a deluxe tricycle, suitable for children aged 10 to 36 months. 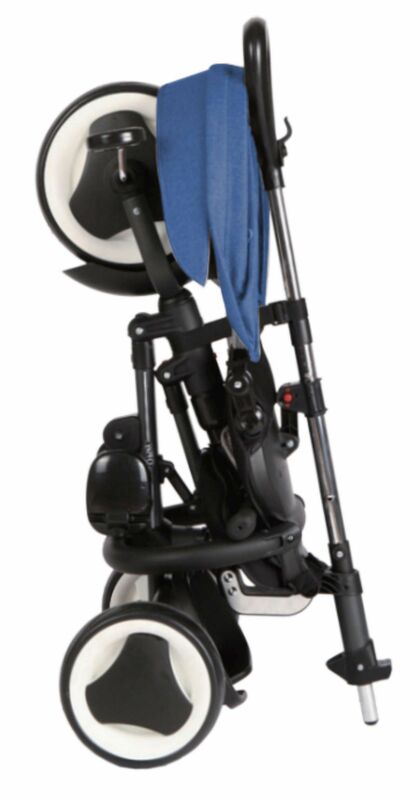 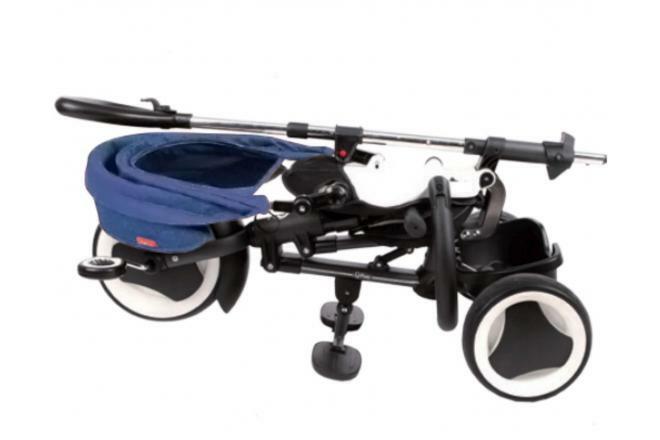 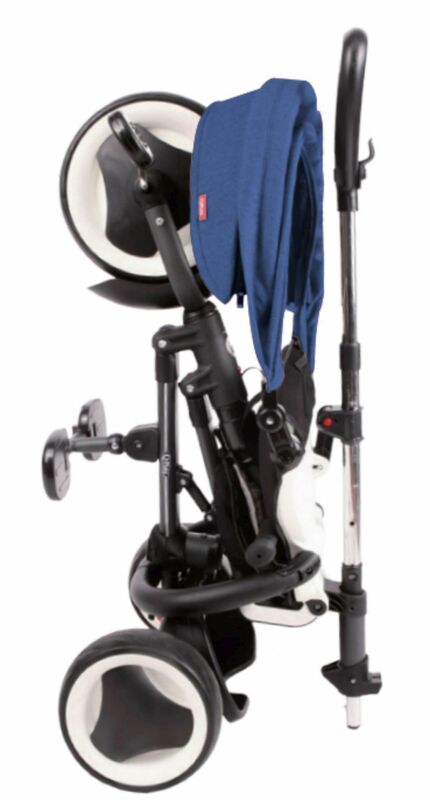 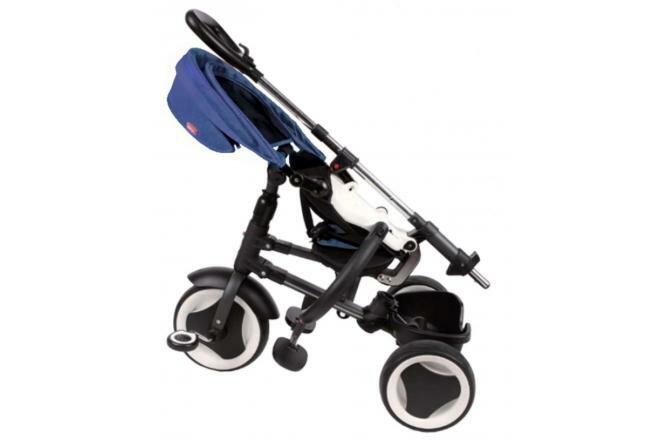 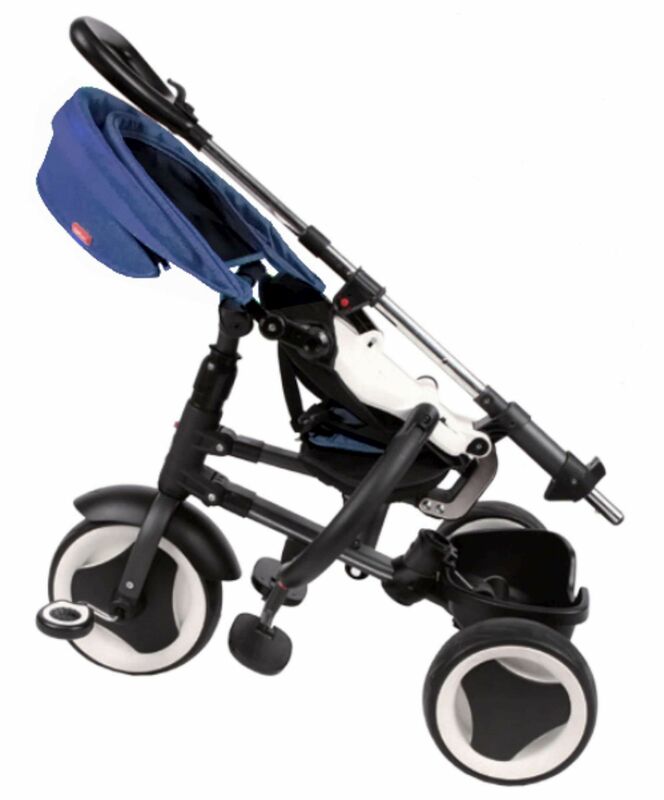 The tricycle is fully foldable and has an adjustable telescopic push bar that allows you to guide your child easily. 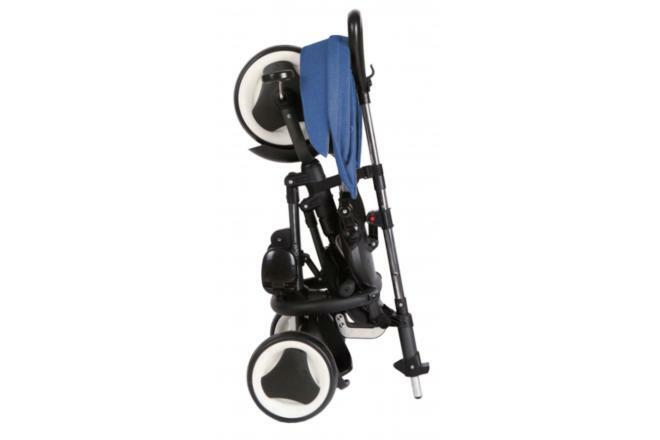 For the safety of your child, the tricycle has safety belts and a safety surround with open function. 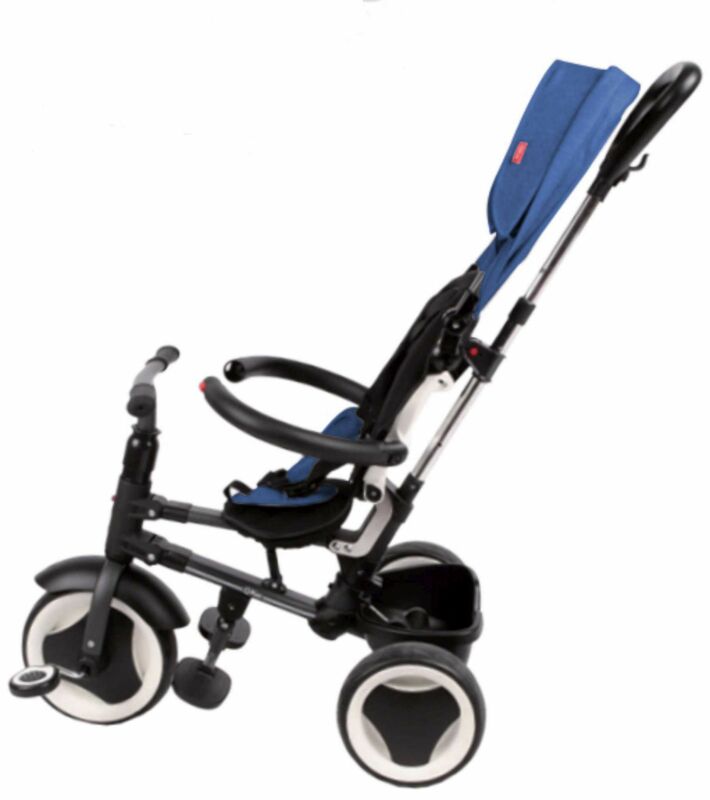 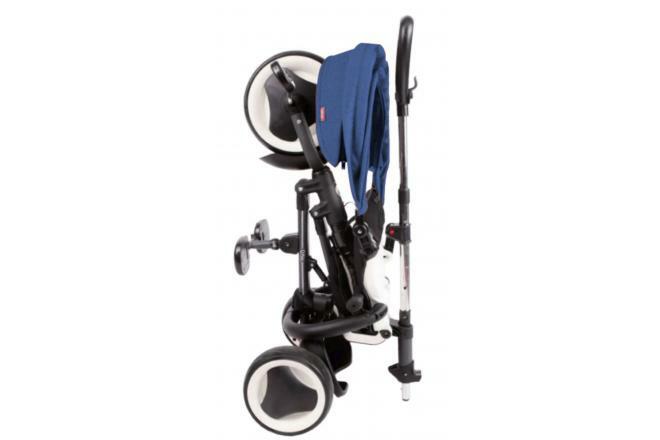 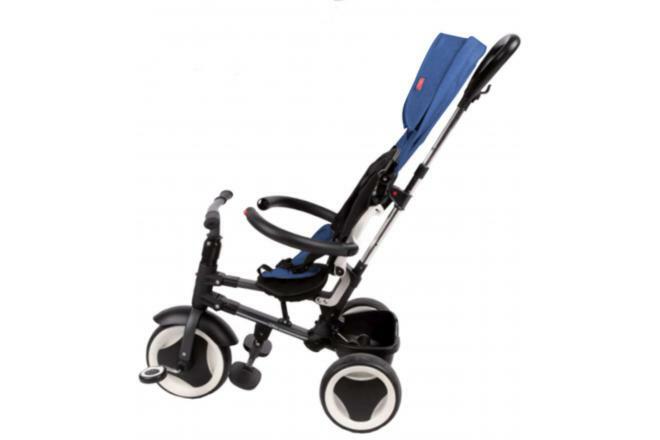 To ensure comfort, the tricycle has a breathable seat cussion and a comfort high back seat with adjustable backrest. 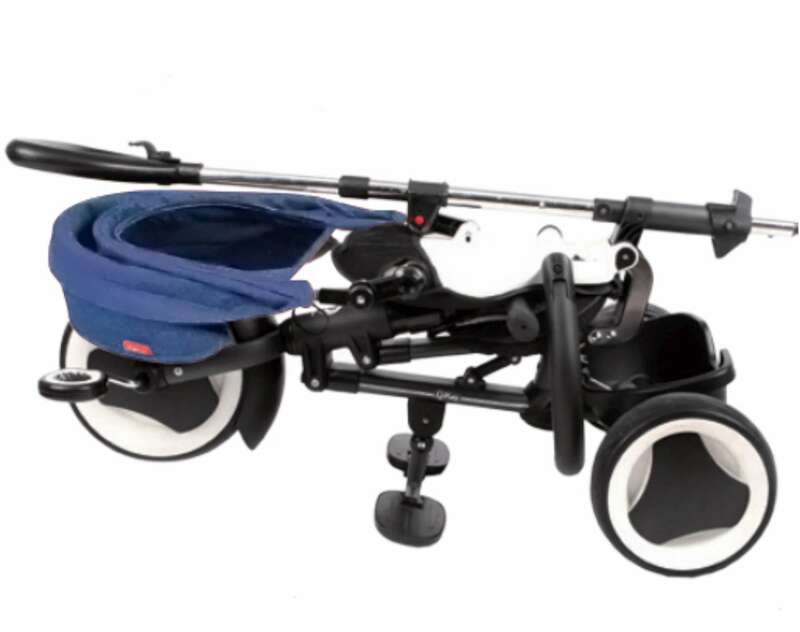 Other parts of which the tricycle is provided are a 10 inch wheel on the frontside with freewheel function and two 8 inch wheels on the backside with blocking function, a handlebar that allows your child to control the direction, non-slip pedals, footrest, a basket and an adjustable canopy. A tricycle of good quality, for a lot of joy!